The Scriptures provide many, if not all, of the understandings that are necessary to interpret them. Their meaning can be determined by looking at the manner in which the writers use language. When we read the texts of other religions we do not use the hermeneutics which we have developed to read the Bible. Why should we consider the Bible as less intelligible? In general, when reading religious texts we look for the manner in which language is used. How is meaning understood in the language of the text? What count as truth? In what sense is the text we are reading supercede or is superceded by other texts in its tradition? What are the prescriptive elements in the book? How is language used to transform or enable the reader? 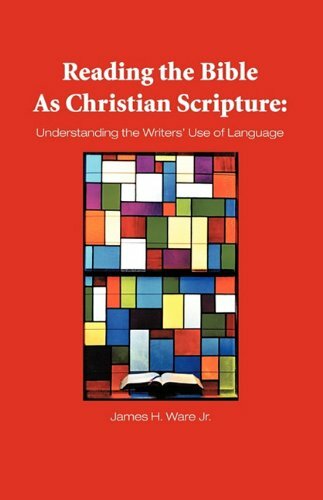 It is the thesis of this book that demythologizing has run its course, and that a new approach which includes, but goes beyond historical criticism and post modernism is available in the way in which language is used in Biblical texts. Culturally and intellectually we live in more than one world-view. Reading the Bible within its own language structures and world-view is the best way to understand it.